Awan, a unique Arabic word for ‘the right moment’, is a genuine brand created by tea-lovers for tea-lovers. Infused with a zest of Lebanese culture, it offers an indulgence in the world of quality tea and brings together passion and pleasure in every moment. Awan presents a wide range of teas for all tastes and a choice of practical and original accessories. cultural discovery and an acute perception of the world around. Awan’s current selection - over 70 loose teas and herbal infusions - covers a broad spectrum of tastes, types and grades, proposing a multitude of distinctly differentiated moments. with more than 50,000 cups consumed every second. Learn more about the Memoirs of Tea. 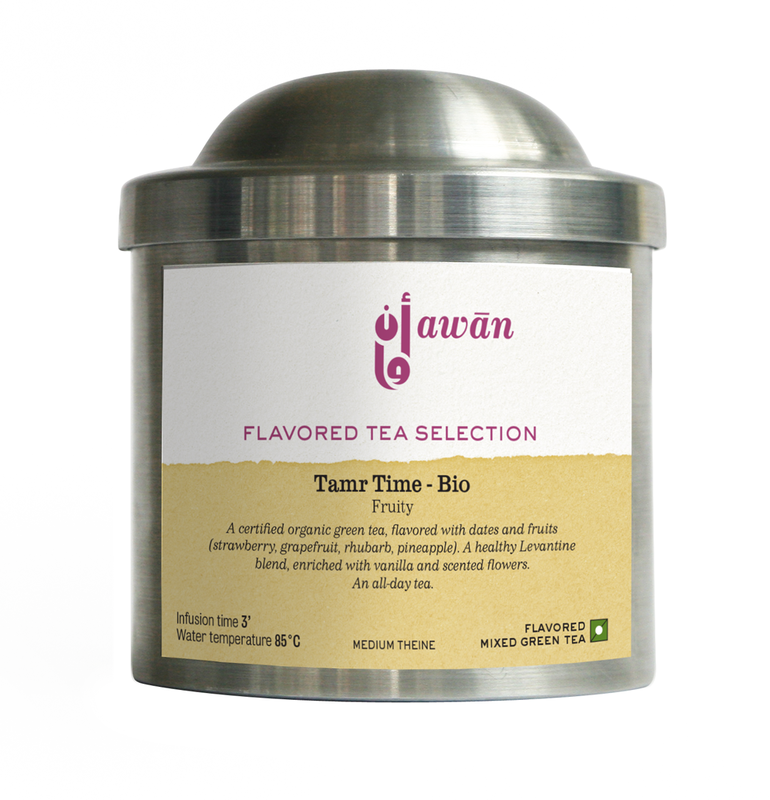 A certified organic green tea, flavored with dates and fruits (strawberry, grapefruit, rhubarb, pineapple).A healthy Levantine blend, enriched with vanilla and scented flowers. An all-day tea. The finum® glass systems are equipped with perfectly matching permanent filters – a simple and elegantsolution for individual tea brewing. Each system comes with a hat to prevent heat loss and to serve as drip-off tray after brewing. The double-wall glass keeps your drinks hot longer.